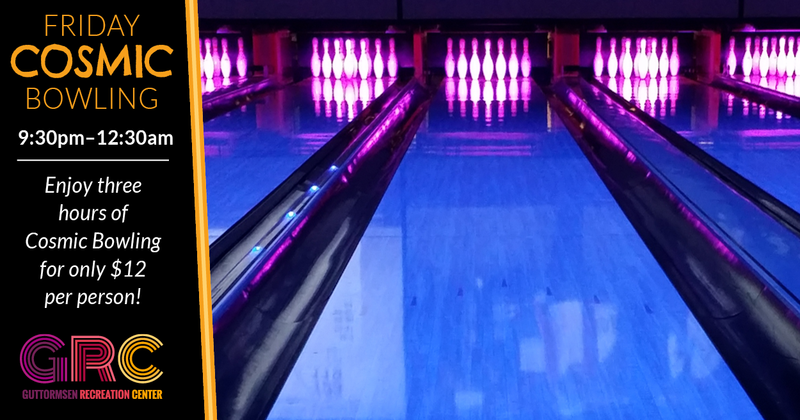 Grab 3, 4 or 5 of your friends and make a Cosmic Bowling reservation today. Phone-in reservations may require pre-payment with a credit card. Please contact GRC at 262-658-8191.